After three weeks in Shanghai, I decided it was time to do something cultural. I also needed something to take my mind off missing Matt, who went back to the UK on Monday. I’d spent Monday getting the internet at the flat sorted (and then gorging myself on episodes of The Wire) so I really felt that I ought to do something more fulfilling with my day on Tuesday. It was a breezy day and I emerged from the metro in what seemed like the middle of a building site. This isn’t uncommon in Shanghai or in China generally. I thought I’d be able to walk towards the river but it wasn’t immediately apparent which way that was. The river always amazes me with how wide and well trafficked it is. 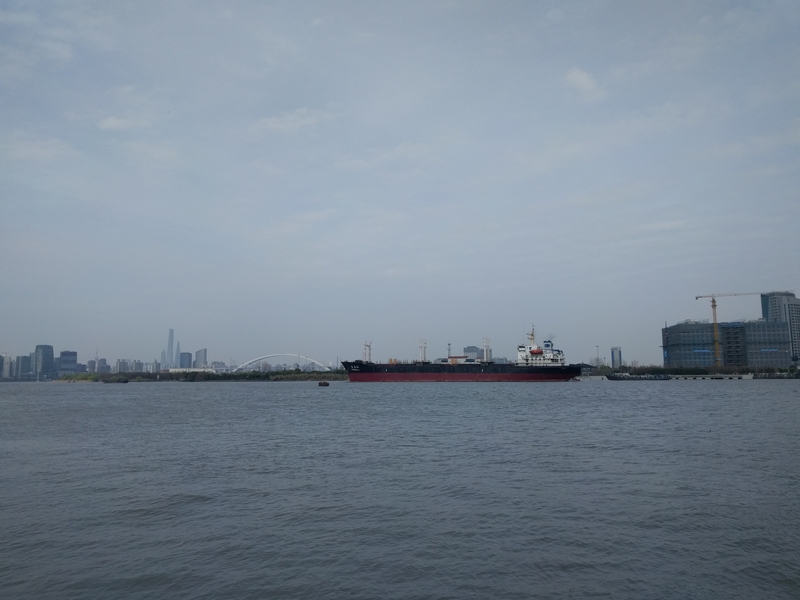 People were flying kites, and in the distance I could see the famous skyscrapers of Lujiazui – the pearl tower, etc. 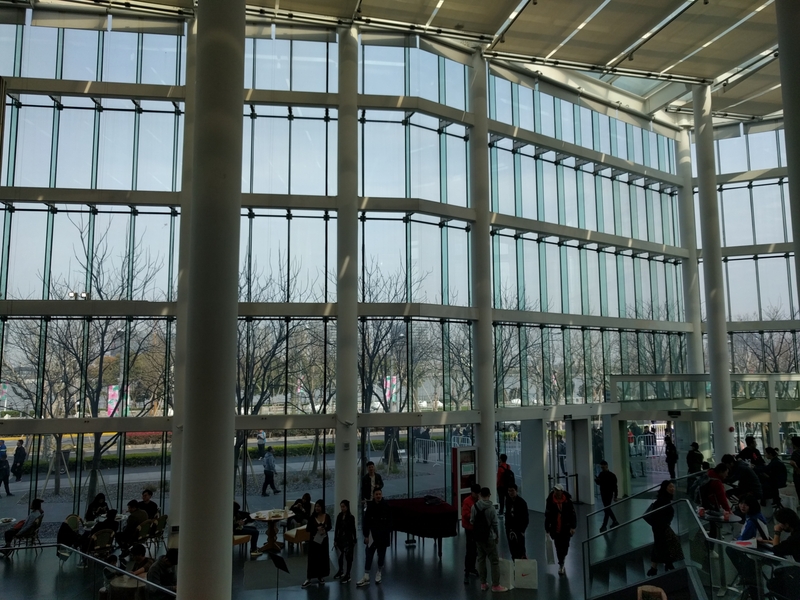 I’d decided to visit the Yuz Museum, as there’s another exhibition on at the Long Museum that I’d rather see with other people, and both galleries are meant to be well worth visiting. Outside the Yuz there were long queues and a lot of art student types hanging about. Lots of black, lots of ennue. I tried to join one of the queues but was asked if I’d booked, so decided to follow the next person who also didn’t have a booking. Once I’d locked on to them (they had no idea I was trailing them, or it they did, they didn’t say anything) I followed them through the too-cool-for-school crowds and into the building itself. The main atrium of the Yuz is glass, and the river looked better for the distance and the lack of wind. The building is an old aircraft hanger so it felt appropriate that the atrium felt a little like a modern airport termknal. I sat for a while and did a lot of people watching. 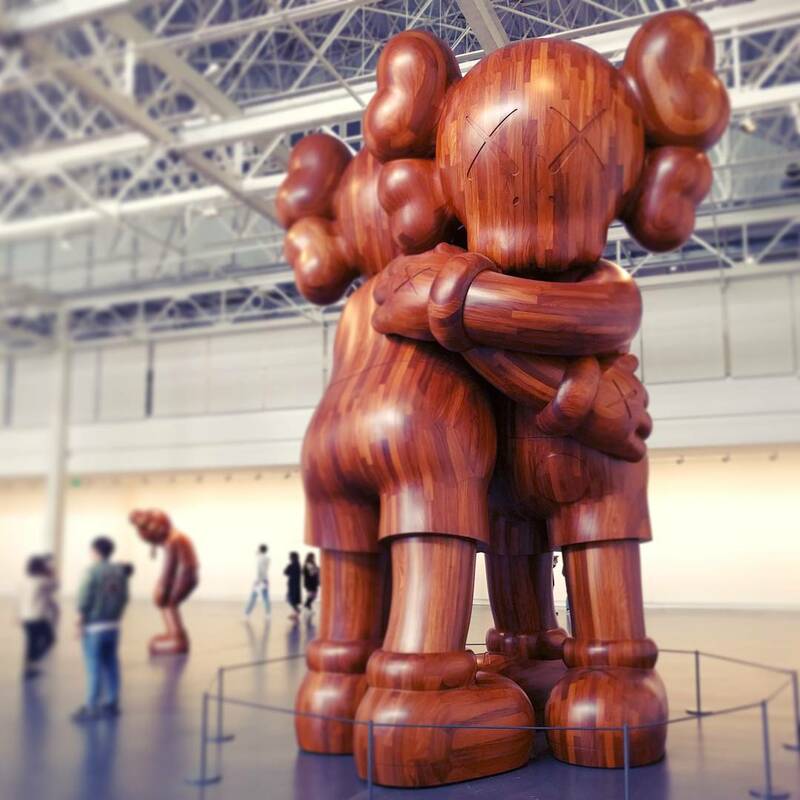 It turned out that it was the first day for the main exhibition, KAWS: WHERE THE END STARTS – which explains all the hipsters. The main exhibition space is cavernous, saved from feeling too sterile by the ceiling supports. 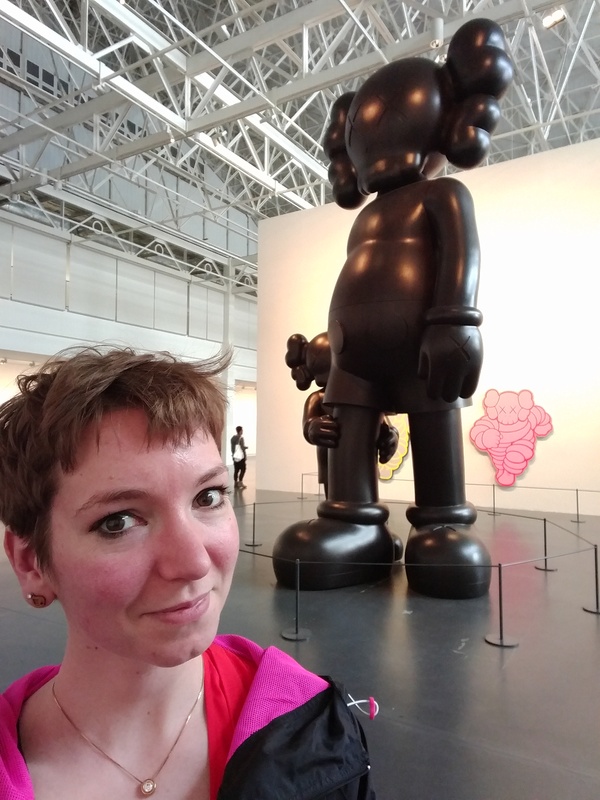 Inside, there were enormous figures, variants of Mickey Mouse and other well known characters. 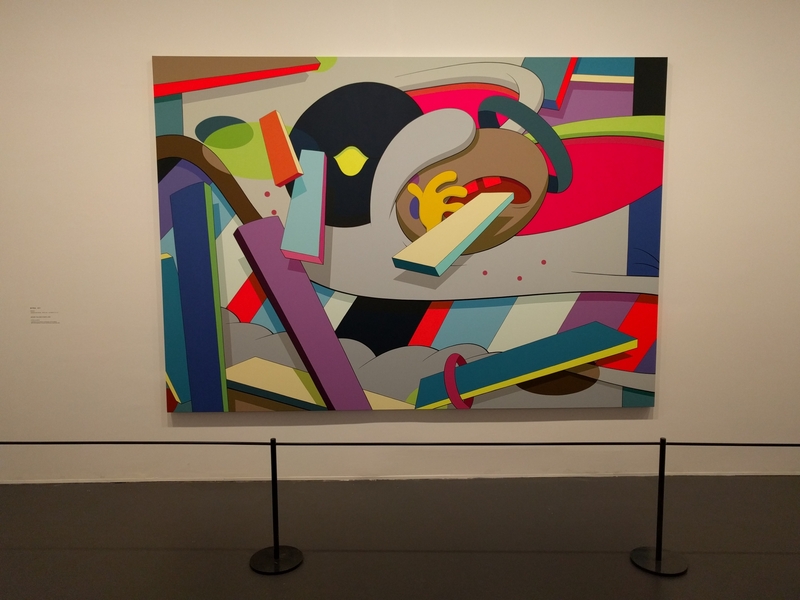 I have to admit I don’t really understand why/how this is “art” (yes, I sound like my dad here – if my dad bothered himself with any thoughts on modern art) as it felt… derivative, maybe? That said, there was something about the scale of these figures, and the sympathetic way that they were displayed in the space that made me feel small and reverential. I particularly liked these two embracing. Selfies were the order of the day! ​In the smaller rooms off the main space, there were paintings (is that the right word? As you can see, I’m almost as good an art critic as I am a sports writer!). Some of these were ad jamming, which I’ve seen a lot of so didn’t find very impressive. But I liked the eponymous Where The End Starts. The most previewed picture I’ve seen is the collection inspired by The Simpsons. This was selfie central! Everyone wanted a picture with Homer! 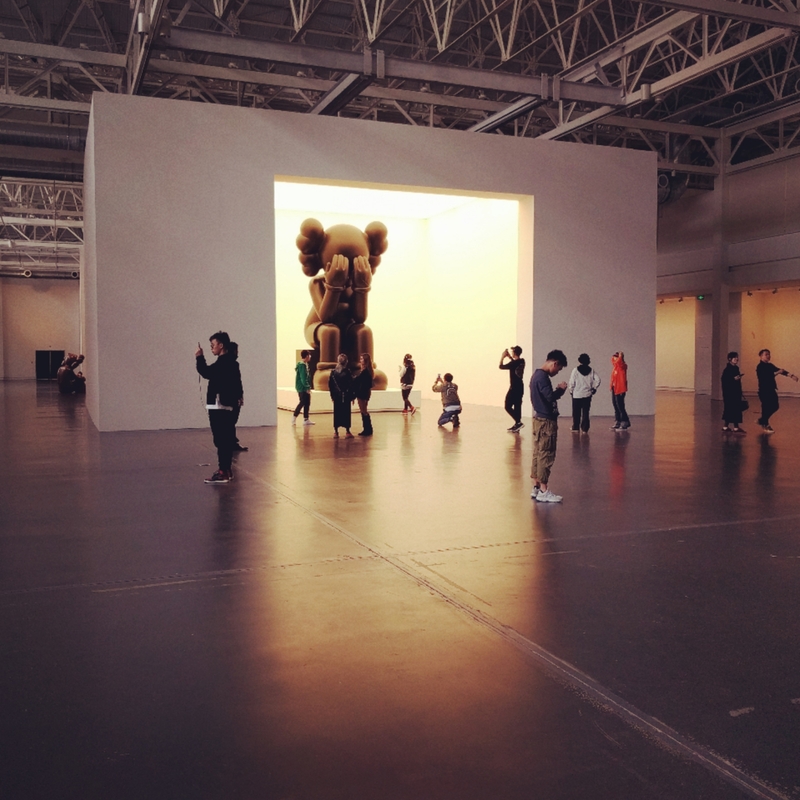 After I’d had my fill of KAWS, I went to the other exhibition on. This was a long, thin, dark gallery, with an occasional beating drum that sounded like a heart. The paintings (and this time I’m almost convinced that’s the right word) were swirls and swirls and the more you looked it them, the more you got sucked in. I felt like I stood on the edge for a while, but let myself fall into one and then never wanted to get out. I extricated myself from the gallery and the Yuz as a whole, and rented a bike, pedalling furiously along the riverside, somehow simultaneously more and less alone.